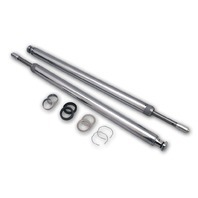 This 41mm hard chromed Fork Tube Assembly is the stock Harley-Davidson FXSTC length at 24-1/4". Includes all bushings clips and seals. 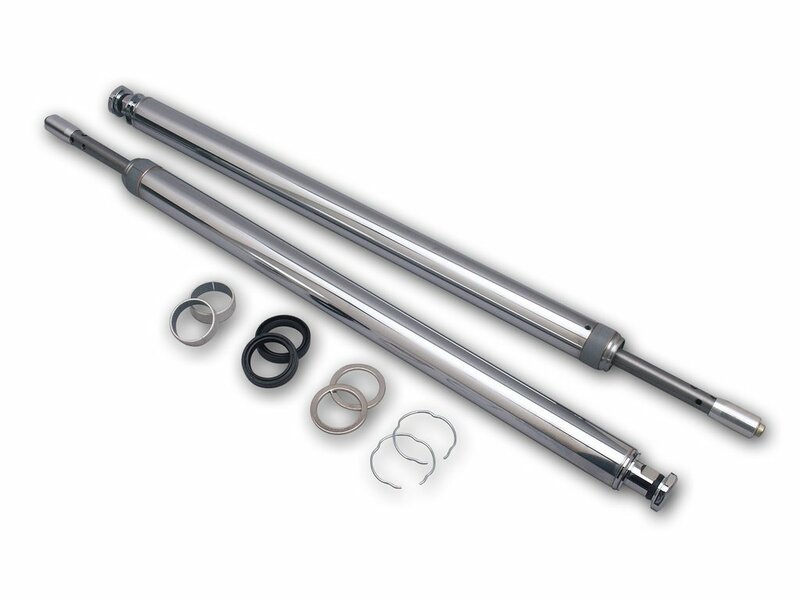 These Fork Tubescome with all the necessary internal parts, such as springs and dampeners so you don't have to look around for these parts. Set of 2. Fits 41mm Lower Legs. 24-1/4" Stock Harley FXSTC Length. Durable Hard-Chrome Finish. Includes all Bushings, Clips, and Seals. Sold in pairs.